I can’t believe how similar our stories are. I am so sorry for your loss. And great job informing yourself and taking over your own health. Your are doing a great job sharing information with others. Knowledge is power! Thank you Claire. Wonderful to have you at Hypothyroid Mom. Hi Jessica, Given that you are talking about heart issues, I would personally seek multiple medical opinions from different points of view to hear all the possible alternatives. Good to have you at Hypothyroid Mom. My labs always show low T3. I’ve tried every form of T3 available and I get horrible insomnia. Even at low doses. I’m so tired of being tired and not doing the things I love. I can only tolerate synthroid. Any insight? Hi Sandy, There are three common reasons why some people react poorly to T3 medications that you should look into. First, if I take my T3 medications too close to the late afternoon, I can’t sleep. I take mine no later than 2pm. The other two things to have your doctor check: your adrenals (saliva testing to measure cortisol) and full iron panel. Good to have you at Hypothyroid Mom. I bought a book by the Medical Medium, Anthony William on Thyroid and he explains that your thyroid is being attacked by the EBV (Epstein-Barr virus) at some point that entered your body. he recommends to cut out wheat gluten, dairy (especially eggs), pork, canola oil, corn and soy. Also recommends getting tested or thyroid anitibodies (TPO). 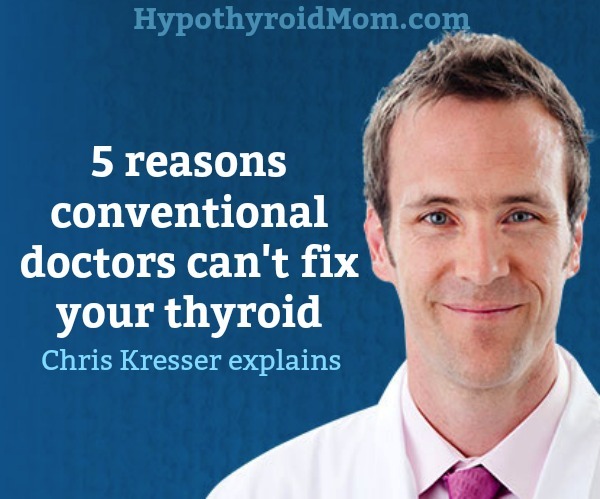 thyroid meds don’t heal thyroid, they help with symptoms we all have here. I am going to try to detox the heavy metals and all other impurities via special juices added to my diet in the book and we shall see. It’s a good read. I’ve had Hashimoto’s that originally presented as just hypothyroid as that’s all that was tested since 1989 after the birth of my second child. It wasn’t diagnosed till 2014 (via lab tests for antibodies etc.) when my weight went up suddenly, hair fell out section by section till nearly bald let alone all over my body, fatigue, brain fog and insomnia (since 2006). Doctors said it was probably ‘just’ perimenopause. Anyway, I’ve done EVERYTHING suggested in all the providers books, including the Medical Medium, Wentz, Dr K etc. Even went off wheat/eggs/gluten/dairy for a year w/o improvement- in fact, my antibodies ALL increased! The latest ‘fad’ in thyroid treatment is to just use T3, one reason being that T4 is converting to reveres T3 now. My antibodies remain about the same. I dutifully take all the supplements, get in daily hikes/light snowshoes/walks but only for 45-60 minutes due to my severe spinal stenosis which got worse from a 2014 fall (originally fell and hurt my lower back in 1972), and only eat up to 100 whole grain carbs a day and 1 apple to control blood sugars, and eat healthy fats like avocado/olive oil. I do not eat the typical SAD and haven’t since 1973. I’ve had toxins tested etc. I’ve had mold tested. I’ve even spent hundreds on Lyme testing (came out negative). So my latest naturopath and I are working on titrating a good enough dose of T3 for me, bit by bit as trying plain T3 at 25 mcg alone 2x a day produced adverse symptoms within a few days- like feeling like I was on speed and kept me awake for a few days. I’ve also done adrenal testing (blood and saliva which conflict in results) and am now titrating cortisol. I had to retire from work early at 61 2 years ago and forgo getting full social security and am in the very long process of applying for SSI, being rejected twice already (which is typical). My actual in person hearing is this July. The additional $300/400 a month would really help me afford my T3, cortisol, and acupuncture, which insurance doesn’t cover. Next year I’ll be 64 and Medicare doesn’t cover acupuncture. Without acupuncture, I wouldn’t be walking as the pain is referred pain down the back thighs. I can’t sit/stand for more than 30 minutes at a time. Getting to medical appointments ( 1 1/2 hr drive each way) is very difficult and my husband always has to drive as I never know when a stabbing muscle pain will hit. So, does ANYONE have any other concrete suggestions? At this time, I spend 7 hours sleeping at night (finally! ), 2-3 hours napping nearly every afternoon as my brain literally shuts down (whether or not I do my hike/snowshoe that morning or not), and spend 15 hours of the 24 flat reading or watching TV these past 3 years and I’ve NEVER been a big TV watcher! If my thyroid was removed and I have Hashomotos what is being attacked. Hi,I’d like to know what being on a low carb diet has to do with hypothyroidism please?I have had my thyroid removed because of cancer and am on thyroxine replacement.My doctor keeps telling me to lower my dose because of the lab results for the tsh , but I feel great where they are.Mystery? I’m curious about this, as well. I did low carb for years and I wonder if the diet could have caused my current problems? Hi. I have Hashimoto disease. My doctor recommended I remove gluten from my diet and he prescribed a diabetic medication called Metformin. My systems were very much like others, tired all the time, gaining weight a a rapid pace, Hot flashes, hard time falling g asleep, etc. Have you heard of anyone taking this drug before? I did cut out gluten and dairy. I just want to have my life back! I was diagnosed with Hashimoto’s 2 years ago and finally found relief with Armour Thyroid and a bevy of supplements. However, over a 5-year period, I’ve lost 2/3s length of my hair with absolutely no new growth. The condition of the hair is good, just breakage and no growth. Iron, biotin, zinc, selenium, hair vitamins have had no effect. I could use help from Dana and this community. Thanks. Hi Danya, I was losing hair in clumps that it scared me so much I spent over one year researching the causes of hair loss to thankfully stop mine. Now I have long full hair and most of the scalp showing is filled up with hair. This article that I wrote is one of the most popular at my site.